The South coast's leading kitesurf and SUP shop, BBR are authorised dealers for North, Naish, Liquid Force, Ozone, Slingshot, Wainman Hawaii, F-0NE, Prolimit, Mystic, ION and many more.... we are able to bring you the very best kitesurfing and SUP equipment available. Based in one of the premier kitesurfing locations in the UK, only 45mins South of London and just 50m from the beach, BBR specialise in quality kiteboarding equipment, service and advice. BBR are approved by the UK Trading Standards, showing exceptional customer service, product knowledge, and clear advice, to help you make informed decisions on your Kitesurf equipment. Rather than just providing an online sales, we have a full retail shop and a fantastic and friendly team willing to meet both new and experienced kitesurfers in order that people can demo kite equipment before making their purchase. 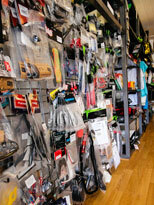 BBR hold massive stock of different brands, sizes and colours - holding a huge range of kitesurf kites and kite boards in stock with a dedicated wave board area too. BBR are proud to bring you After-Sail service, by combining the knowledge of the BBR team to ensure you continue to enjoy your kitesurfing to the MAX ! Whether you are a seasoned kite pro or a complete kitesurf beginner, rest-assured we provide quality kiteboard products, service and advice. Can't decide which Kite is best for you? - Come to one of our demo days, come into the shop, or approach one of our Team on the beach and have a fly before you buy. Based in one of the premier kitesurfing locations in the UK, BBR specialise in quality kiteboarding equipment, service, clothing and advice and are the UK's largest North Kites retailer, North Sapres Retailer, North Stockist and more! BBR also supply kitesurf kites, kiteboards and equipment from top manufacturers including Slingshot, Naish, F-ONE and more. BBR are able to ship boards, spares and clothing worldwide. We have a team of highly experienced kiters available to help you choose the hardware, spares or package best suited to your requirements. We are a North Pro Centre and a Naish Premier Retailer, offering sound advice and technical knowledge on all the brands we stock. 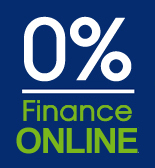 You can contact us on 01243 671777, Alternatively, you can email us your query info@brackleshamboardriders.co.uk, or pop into the shop. '10-man' comes from James' random past, from Retail & Web design to Vendee Globe Carbon Yacht manufacturing and World Speed Records (perhaps also as he's getting a little 'chunky' now..!). 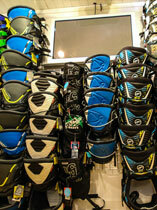 The Uk's North Kites Technical wizard, James' knowledge of North gear is unsurpassed. Matt likes to try anything and everything kite related, giving him a great perspective of all things Kite. Our mail order and shop main man - often rushing around to make sure you get your orders as fast as possible. When he is allowed out of the shop - mostly found either kitesurfing or in the pub! Our graphical guru, Kelly is working hard to keep our site looking the way it should, and organising all of our in-store promotions. Likes a glass (or two) of the Vino Blanco too! Keeping her finger on the pulse, Kristie handles all our web development and database stuff. Not a cold water fan, most likely found on a hot sunny beach, Mojito in hand!